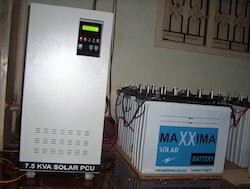 Leading Manufacturer of hybrid solar inverter, single phase solar inverter, off grid solar inverter, solar inverter, standard solar inverter and isolated solar inverter from Coimbatore. Used for the purpose of converting solar energy into usable electrical energy, the offered Hybrid Solar Inverter is amongst the finest options available. Its manufacturing done as per the set industry norms and guidelines, its quality never deteriorates. Further, the offered product manufactured in accordance with the industry set norms and guidelines, provides superior performance and commendable service life. 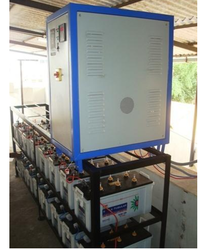 For the purpose of providing the finest Single Phase Solar Inverter to our clients, we engage in using the finest raw materials and modern machines in its manufacture. Owing to this, the offered product’s performance and service life are widely acclaimed. In addition, the product marked at a market leading rate has a high preference in the market. 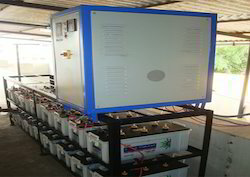 For reasons of quality maintenance, the offered Off Grid Solar Inverter is manufactured in accordance with the set industry norms and guidelines. The utilization of high-grade raw materials and modern machines gives the product functionality and service life. In addition, the offered range priced at the most affordable rate possible is highly praised and preferred. Owing to our in-depth knowledge of this domain, we have been able to offer high-quality Solar Inverter to our valuable customers. 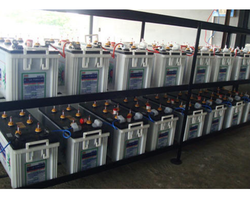 For the purpose of converting the variable direct current (DC) output of a photovoltaic (PV) solar panel into alternating current (AC), the offered solar inverters are widely used. 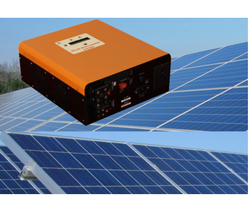 The offered solar inverters are available with us in user-defined specifications. With the latest machinery based on advanced technology, we have been able to offer high-quality Standard Solar Inverter to our valuable customers. 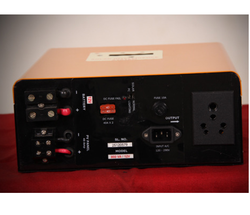 These inverters are precisely engineered from high-grade materials, which are procured from trusted and well-known vendors of the industry. Being a reputed name in this domain, the premium quality of the offered product range is maintained at all times through rigorous quality assurance checks. We are among the prominent manufacturers and suppliers of supreme quality Isolated Solar Inverter. By using advanced machines and tools, our professionals manufacture these inverters in adherence to the international quality standards. To ensure a defect-free range, these inverters undergo various quality assurance checks conducted by our team of quality controllers. Marked at the most reasonable rate possible, the offered Sine Wave Solar Inverter is known to be amongst the finest that is available in the market. Owing to this, the offered product is known to offer commendable performance and longer service life. For reasons of quality maintenance, it is manufactured in accordance with the industry set norms and guidelines.